Most actors make an effort to transform their body only for movies. 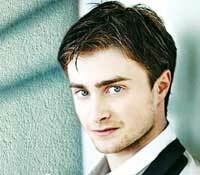 But now we have Daniel Radcliff who is losing a lot of weight for his Broadway comeback. Radcliff no longer looks like the Harry Potter boy a�� the new pale and gaunt version comes in preparation for his role in the stage production of The Cripple of Inishmaan, in which he plays a malnourished orphan with a weakened left arm and permanently stiff leg. He also has a couple of movies coming up this year like The F Word, Tokyo Vice and Frankenstein. Can you imagine putting on 30 pounds and then ripping it off in 12 months? That is what Chris Hemsworth is capable of. He put on 30 pounds for his role in Thor, ripped it off for Rush, and is now working on losing more weight for the role of a starving sailor in Heart of the Sea. Based on Nathaniel Philbricka��s 2000 bestselling book, In The Heart Of The Sea, it tells the true story of the whaleship Essex, which set sail from New England in 1820, but was struck by a large bull sperm whale in open water. Hemsworth told Jimmy Kimmel that hea��s only eating 500 to 600 calories a day to really live the part. Remember the movie Prince of Persia, where Jake Gyllenhaal has bulging biceps and a chiseled body? Those days are gone. Some of the pictures taken during the shoot of the upcoming crime drama Nightcrawler, reveal that the actor has lost more than 25 pounds for the movie. a�?a�?Ia��m playing a character whoa��s hungry, figuratively and literally… so I wanted to get there mentally and then have it transform me physically, because I am not one to rely on science as much as I am on just sort of instinct,a��a�� Gyllenhaal told E!, a movie website, recently. A recently taken picture of Chris Pratt on Instagram, focusses on the intense body transformation he has gone through for his upcoming movie, The Guardians of Galaxy. Pratt attributed the transformation to six months without beer, hashtagging a�?GOTGa�� to confirm that the makeover is for the superhero film. This is not the first time the actor is going through physical transformation for a movie. 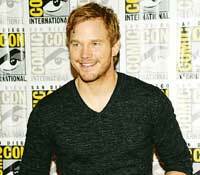 Pratt sported a toned physique while playing a member of Seal Team Six in Zero Dark Thirty last year. Looks like Ben Affleck has already started preparing for his new role as Batman, sporting a noticeably buff body. The Argo actora��s unmissable transformation was spotted in Brentwood County when he was picking up his eldest daughter Violet, from school. 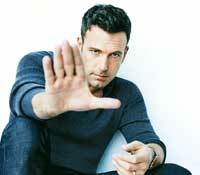 Wearing a fitted white top, showcasing muscled shoulders and abs,A� Ben has been working hard. According to some sources, he has been hitting the gym for two hours every day.